SEATTLE WA, October 26, 2011  SWC provided much needed sports equipment to the Sports and Intermurals Program of the Skykomish School District WA. The district serves a predominantly low-income area, with 69% of the students qualifying to receive free or reduced cost lunch, and 19% live below the poverty level. The goals of the program include engaging the students and community in healthier activities, and promoting health education, social skills, teamwork, and sportsmanship. The equipment provided by SWC included bases, basketballs, bats, mitts, water bottles, and softballs. Tonya Lyons, Health/PE Teacher and Athletic Director, wrote, "This equipment... will allow us to provide more opportunities for extra-curricular activities, help our students stay active, healthy and better develop both their mind and bodies... Our school is very honored and grateful to receive this grant from your organization..."
Since its inception in 1997, SWC has collected and delivered nearly 26 tons of sports equipment to more than 16,000 children in Mexico, Nicaragua, Uganda, and the United States. 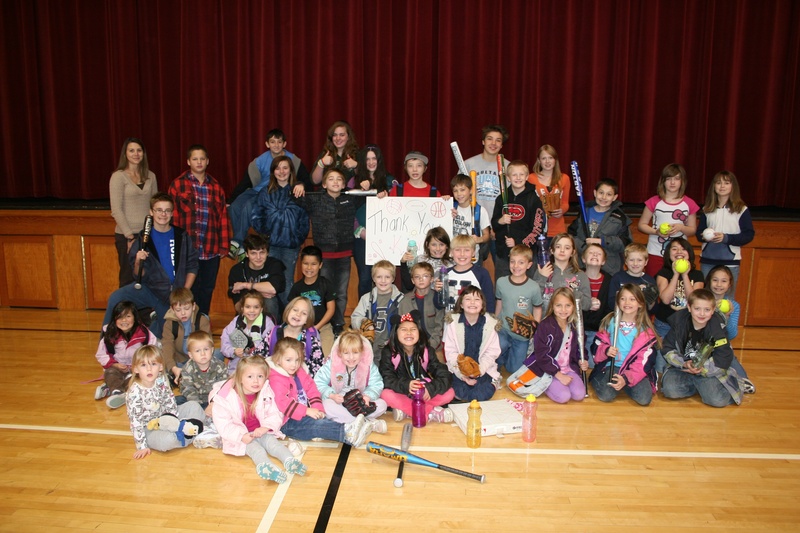 SWC’s “Communities Play” Program has received past support from Alaska Airlines, Major League Baseball and the Major League Baseball Players Association’s Baseball Tomorrow Fund, and the Kristi Yamaguchi Always Dream Foundation. The Sports for the World’s Children Foundation is California 501(c)(3) nonprofit public benefit corporation based in San Francisco. SWC’s mission is to help facilitate the creation of ongoing, self-sustaining, quality sports programs for children with limited or no resources. Sports equipment and monetary donations are accepted year round. Interested individuals can contact SWC for more information about the “Communities Play” sports equipment distribution/volunteer program to Mexico, and/or to order a DVD about their programs at swc@swcfoundation.org, (415) 566-3487. SWC is also on the Web at www.swcfoundation.org.